Thanks to Twitter, I found a hilarious but useful way of bringing NMR tubes back and forth between the lab and the NMR spectrometer. 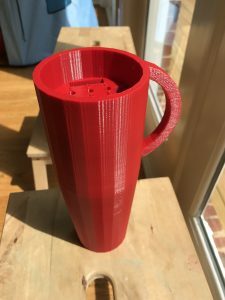 It’s a 3D-printed “coffee mug” with nine spots for 9-inch NMR tubes and a few more spots for USB drives! Terrific! Thanks to Terry Moore and Nick Oberlies for the info and the design, respectively!